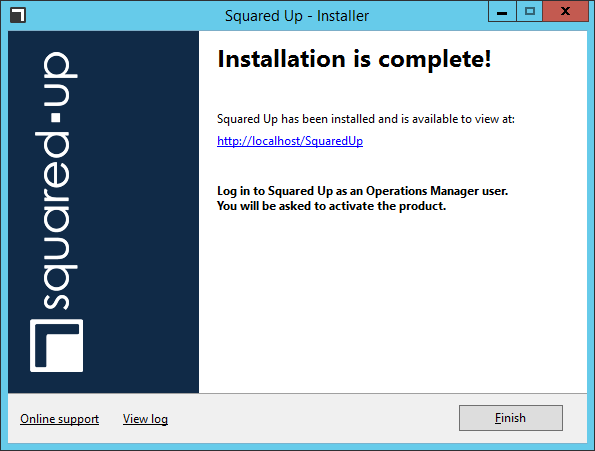 Once you have the prerequisites installed, we can move onto the product installation. 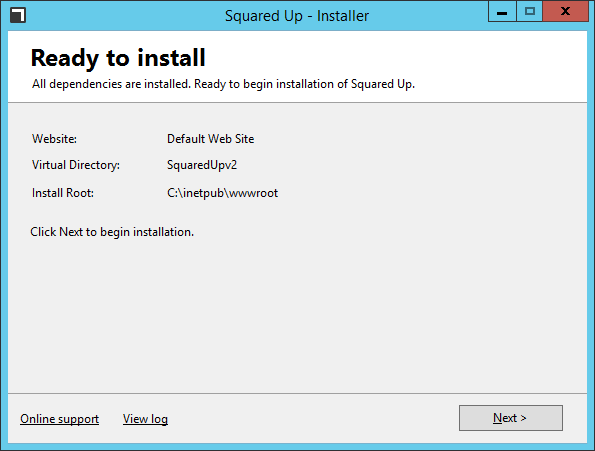 Start by running the SquaredUpInstaller.exe. The version that I am using for this review is version 2.1.11.310. On the License Agreement screen, check the “I accept the license agreement” checkbox, and click Next. After the prereqs are checked, on the Ready To Install screen click Next. 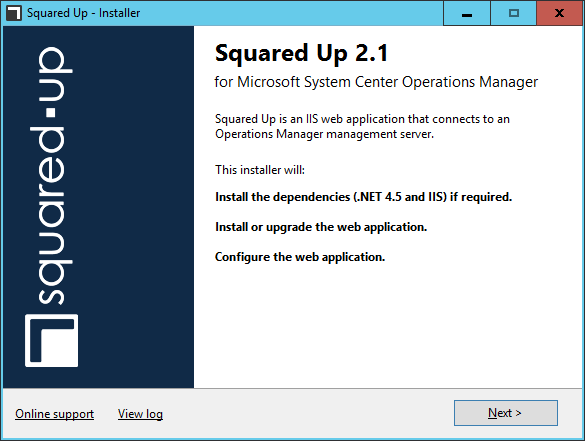 Note: If you need to change the installation location, or to use an IIS website other than the “default” then read the referenced articles from the vendor. On the Management Server Address screen, provide either the IP address, computer name, or FQDN of the Operations Manager Management Server, then click Next. 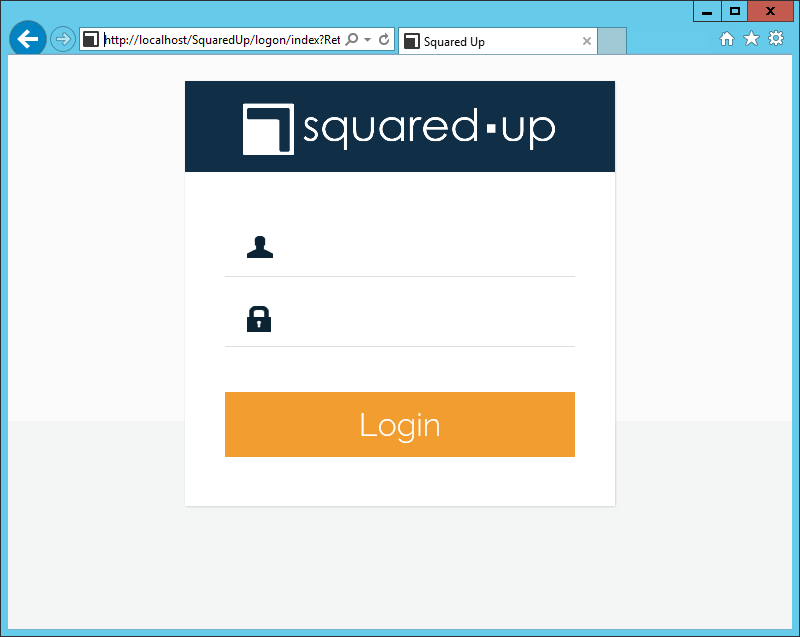 To confirm the installation completed successfully, navigate to http://<ServerName>/SquaredUp. You should see a webpage similar to the following. Note: To log into the dashboard, use your Active Directory (AD) credentails (i.e. DOMAIN\UserName). Next we’ll move onto Part 4: Activation of the product.